I have issues with Santa. You know, the big jolly guy in red who comes around once a year. In a sleigh. Pulled by flying reindeer. Did I mention he comes down the chimney? My problem is this: we're supposed to be focusing on the birth of Christ. You know, the One who said He is the way the TRUTH and the life. Christ equals truth. So if that's the case, then why do we continue to deceive our children with the false notion of Santa Claus? I know what you're probably thinking. What a prude! What a party pooper! Her poor kid! Well, check out this poor kid! It's not that my husband and I purposely tell our daughter there is no Santa. But she never learned about Santa at home. She learned about him at school singing songs like "Up on the Housetop" and "Santa Claus is Coming to Town." She learns about him wherever she goes with people constantly asking her "What is Santa bringing you for Christmas this year?" The reason we chose not to tell our child that Santa doesn't exist is because we don't want her to "ruin it" for other children and have their parents get upset with us. Like I said, she kind of knows about Santa but I don't think she really gets it. She also loves the story "The Night Before Christmas" but she knows it's fiction and there is no hope of anything in the book ever coming true. Plus she knows if cookies were left out on the table, her dad would be the first to grab them to drink with his morning coffee! Over the years I have begun to think we demean children when we purposely deceive them, thinking they're not smart enough to figure it out. 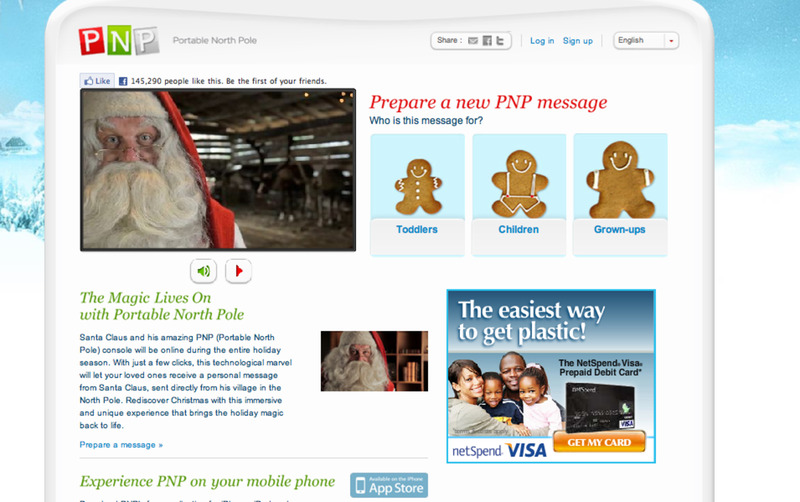 Unfortunately though, Santa is a lie deeply embedded in our culture. There are those who hate Santa so much they say there's a reason Santa and Satan both have the same letters in their name. I don't think of him as demonic but I do think we do need to stand for truth and not purposely deceive our children. It's never good to lie to them no matter how accepted the lie is and how accepted it will continue to be. You might be wondering if we tell our daughter there is an Easter Bunny or Tooth Fairy. The answer to both of those questions is NO! Again, it's not that we're being prudes or trying to ruin all the fun we just feel honesty is the best policy and don't want to lie to our child. Please note - there are still people who believe Santa is real and therefore they are not lying to their children. I guess you can check out the video below and decide for yourself! Hanukkah is another holiday celebrated around the world during this time. Did you know there is a wonderful connection between the Festival of Lights and Jesus? Read about it here. Instead of teaching her about this fat guy who delivers presents to every child in the world on one night, we teach her about Jesus. One day we were talking about celebrating Jesus's birthday and I asked what she wanted to do for Christmas. She answered, "Make Happy Birthday Cupcakes!" So that's what we did. We made Happy Birthday Jesus cupcakes and passed them out with a little note saying, "we hope you enjoy this Happy Birthday Jesus cupcake." In the past we gave them to all of her medical providers, her caretakers, therapists and teachers at school. Some seemed to have tears in their eyes when they read the little note. Some of you might be thinking as you read this that December 25th isn't even the real date of the birth of Jesus. In fact, nobody really knows the true date but it is believe to have been in September. I get this. I also get that a lot of our Christmas traditions are based on pagan traditions and that December 25th was really the day pagans celebrated the holiday of Saturnalia during the winter solstice. It was Roman Christian leaders who tried to turn the pagan holiday into a Christian celebration as a way to try to convert the pagans to Christianity. They told them they could keep their holiday but that it would be deemed a Christian holiday instead. Trust me, I have done some serious soul searching through the years in regards to the pagan roots of Christmas. I tried to talk to one of my pastors years ago about the pagan aspects of Christmas and how the church could continue to celebrate it. She simply told me that Christmas opens the door to tell others about Jesus. Sometimes Christmas is the only day some people come to church. It has been my prayer through the years that as people think about Jesus during Christmas, it would cause their hearts and minds to be open to Him. Over the years, we have kept our Christmas celebrations very low key and do not buy into all of the commercialization. There may come a day where we don't celebrate it at all - we will simply be open to the leading of the Holy Spirit just as we have been when not telling our daughter about Santa Claus. For now I'll simply say Merry Christmas and I hope you truly do have a peaceful, joyous holiday season. If you are suffering in any way or the holidays are a challenging time for you, I pray you find hope and strength through our Savior and remember that with God all things are possible! 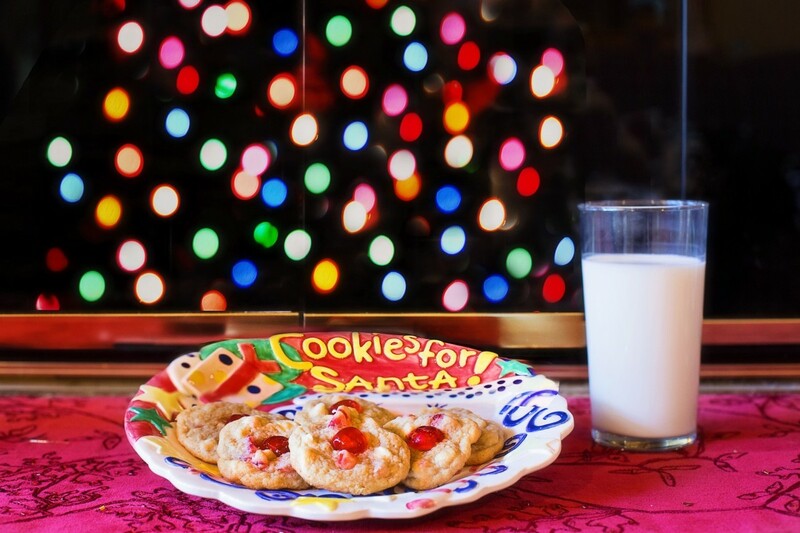 Do you think teaching your kids about Santa is somewhat deceitful? Kat - I'm so glad you were encouraged - and I hope you continue to be encouraged for making a good, truthful, honest decision. I can't possibly understand how your dad thinks this is going to bite you in ?!?! later on in life. I really love what your doula says - our children should not really have to questions whether we are telling them the truth or not! My goodness, another perfect timing :) I needed the encouragement in your post, as I got MORE grief from my folks today! They really believe it's just HUGE. My dad actually told me that "making this decision will come back & bite you in the a**" :/ Arrgh! The article I printed out for them from Living Devotionally-What To Do With Santa....he asked what cesspool I pulled that out of! It seems that me being uncomfortable with lying to my child isn't a good enough reason either. "It's not really a lie" he says. *SIGH* Anyway, let me pass on what my friend (& my doula from my last daughter's birth :) told me. She doesn't do Santa either & she gave me one of the best reasons I've heard. When they find out you lied all these years about Santa, how can we expect them to believe the miracles of the Bible?! Children do not understand double standards. Kat - thanks so much for your comment. I'm so glad it is something that came to you at the perfect time in your life! 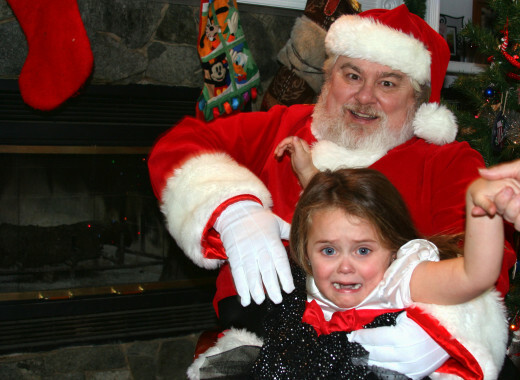 You are defininely not alone in your decision to tell your daughter the truth about Santa! One thing I have found is that once a parent lies to their child - even something like the tooth fairy - then they have to lie again so that their child continues to think the tooth fairy is real. People think we are odd that our daughter does not believe in Santa or the Easter Bunny for that matter but really, truly like you asked yourself, what are we depriving her of? She needs Jesus more than she needs these fictional characters in her life! OH my goodness I needed this right now! Thank you Cari Jean :)) After having supper yesterday with my family, dad & step mom (they both tied one on!) he called me a while after they got to their house & made it VERY clear (in a very serious tone of voice) he disapproves of my decision. That I "Why did I do that to our daughter, I robbed her of that, & that's not right". My whole life, my dad's approval has been very important to me. My parents divorced when I was 3. So when he called me last night & let me have it, I was just shattered. I've been upset since then. Besides that fact that it would have been nice if he could have waited until today at least..... his words cause me to doubt my decision & wonder if I am a horrible parent. Logically I know that I'm not, but my dad's words were hard. He is a devout Catholic & does not understand our decisions to not celebrate Halloween & other things of that nature. We choose to focus on Jesus, giving, baking, family & friends! My daughter is 4. We have never played up the Santa thing, so she has no figure on a pedestal to ruin. Like you, she only hears about Santa from others. We've never talked about him as if he is real & don't use him as incentive for her to be good. This year, she started asking me very pointed questions about Santa. I tried being vague! "Do his reindeer really fly? ", "Well, that's what they SAY, honey". Finally She just came out & asks in a "c'mon now" kind of way "Is Santa really real?" I said "Baby, I'm not going to lie to you. There WAS a St Nicholas a long time ago & he was very generous & gave gifts to the kids in his village" She asked what about the Santa's she sees & I told her they are people in costumes, just like on TV. My husband & I don't feel like we've deprived her of something! We believe Santa has his roots in paganism. I also do not wish to continually LIE to our children & keep making up bigger & bigger lies as they get older. How do Santa's reindeer fly? MAGIC! How does he go down a chimney? MAGIC! If we teach her that the Bible decries sorcery (MAGIC) why would we perpetuate that with Santa?? But my dad doesn't understand all that, so I don't go there. He really believes that you sometimes have to lie for the greater good (ie; saving a friendship) The end justifies the means? No way. *SIGH* Thank you if you've read my vent, I really needed to. :(( Thank you for your blog, I really needed that too. It helps me to know that I'm not alone in this culturally unacceptable decision. That Grrl - I believe it is fine to let children play and enjoy having an imagination and it is okay to tell them about Santa Claus - afterall there really is no escaping Santa at Christmas no matter how hard you try. I guess I just don't feel it is right to actively lie to your child about him. And by the way, my daughter does know that the tooth fairy isn't real and when people ask her after losing a tooth if the tooth fairy came we simply tell them the tooth fairy doesn't come to our house. Telling her the whole truth doesn't make her a less happy, less silly child. There's nothing wrong with Santa Claus. People teach their kids about Christmas the way they see and feel about it themselves. I never had to lie about Santa Claus cause I do believe in Santa myself. But, I don't see it as some mythical man. I see Santa Claus as the Christmas spirit and that is something we all should try to have these days. Christmas is not a religious holiday for me. I choose to make it about family and giving time to the children especially. I don't give lavish gifts. I have made some gifts and spent a bit on practical gifts. My family don't expect huge spending over the holidays. Santa Claus is not to blame for whatever people don't like about the holidays and telling children there is a Santa does no harm. Do you also tell them there isn't a Tooth Fairy? There is no harm in children having a little fantasy. They soon grow out of it and start becoming adults. Why not let them have a childhood and be just a silly, little happy kid while it lasts. ladyjojo - thank you so much for your comment. I just don't get the whole Santa thing - it is rather annoying come this time of year that all my daughter hears from others and at school is about Santa. EXCELLENT HUB! I don't believe Christ born on christmas day but for people who do. Why all the false notion and lies about santa claus. God don't like lying. Santa is a twitched word for satan. He looks nice and burly but it's all faked and nonsense. Unchained Grace - thank you so much for your comment. I think its great how you show appreciation for the love and guidance you received from your parents. I am also glad you learned something from my other hubs. There are so many things to learn. Have a blessed New Year! Cari Jean, as a child, my parents were very poor so although they never dissuaded me from Santa Claus, the emphasis was never on the gift thing as there was no money for that after bills were paid and food was in the fridge. Their gift(s) to me was the love I got all year, food, shelter and guidance. I'm pretty sure they figured I'd come to the conclusion Santa wasn't all that eventually, though they let me figure that one out for myself. Point is, while they didn't try to "flip me" on the Santa thing, they instead showed me what real Christian love was about. It didn't take Einstein to recognize the better of the two options. I also read your "12 Days of Hubbing." That was cool and know what? Some of the outboard articles showed me stuff I needed to know. Like, what is a backlink and how do I use it? I marked it on my "Favorites Bar" and will be back. Meanwhile, you got another follower and thanks for following me, also! Happy 2010! matt6v33 - I really love your user name. Thanks for stopping in and Merry Christmas to you! hello young lady, just stopped by to let u know that i'm thinking of u, and to wish you a merry christmas. Specialk3749 - it is so good to hear from you! I have been thinking about you and that baby - have you had him/her yet? I know you were hoping for a New Year's baby! Thanks for your comment. It is so good to know there are others who believe and think the same way. I know there are lots of Christians who disagree with me on this subject. Merry Christmas! BTW, you have a beautiful little girl! Audrevea - thank you so much for reading and for your comment. I believed in Santa too when I was little but as a parent I know I have to be careful with what I teach my daughter. My daughter knows about Santa she just doesn't believe in him - I would rather have her believe in something that is true. 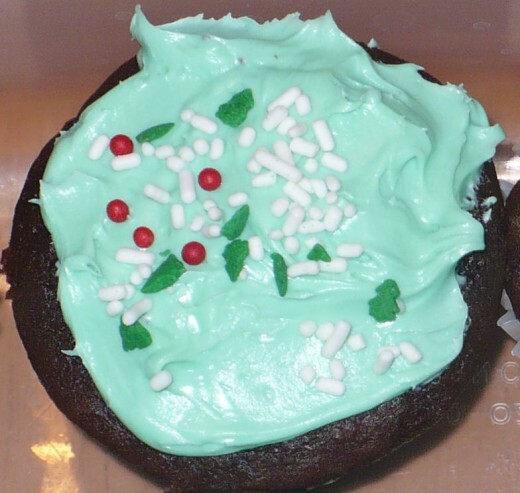 The cupcakes idea is such a nice one and does refocus attention on what Christmas is all about for Christians. I don't have any issues with Santa though. I believed in Santa with all my heart when I was small and it wasn't about materialism really - just the whole fairytale aspect of it. I still went to church with my family on Christmas morning. Ken - its always a pleasure to receive a comment from you - thank you so much for reading. Have a Merry Christmas and Blessed New Year! Vladimir - yes, JESUS is LORD! Thanks for reading. eovery - thank you for your comment. It is so important to stay focused on the "reason for the season" especially in light of so many who are trying to take Christ out of Christmas. Great Hub. The title made me smile; the content made me think. Thank you for sharing. May you & your family have a blessed Christmas. Yea, Jesus is Lord and Santa is false. I am glad you focus on the meaning for the season. DeBorrah - you are such a wise woman and mother! Thank you so much for your comment - I really appreciate it. That is a good idea to tell your kids Santa is just a man in a costume and I'm glad your kids are continuing that! Merry Christmas to you and have a blessed New Year! Cari Jean, Nice Hub! I feel you on this one! We taught our children when they were growing up, that Christmas is the time we Celebrate Jesus' Birthday although we are not quite sure of the exact day! We also read the Christmas story from the Bible on Christmas morning and sung songs about His birth and life. Most important, we taught them that Jesus was the greatest gift of all time! As far as Santa we told them that he was a Man in a custome. He did not come down the chimney and the gifts were from their parents... They are all grown now and they continue this Tradition in their homes! Your daughter is a smart thoughtful girl! Baking cupcakes is a lovely idea! Thank you for sharing, Blessings!